It’s not unusual to attend presentations at disability ministry conferences where statistics on the impact of specific disabilities are quoted or repeated and accepted as fact, without citing the original source of the research. I’ve been guilty myself of citing or repeating statistics I’ve heard at conferences without verifying the primary source…I’d NEVER be able to get away with spouting statistics without references if I was presenting at a major medical conference. That got me thinking about some of the statistics I’d been using in Key Ministry presentations. First, as Christians, we have an extra burden to represent the truth, because people will judge our witness (and indirectly, Jesus) based upon the integrity of what we say and do. Second, the consequences of what I do in my ministry activities have even greater lasting significance than the decisions I make in my medical practice, so the standards ought to be at least as rigorous as the ones I implement in my day job. To that end, I spent an evening searching out the frequently-quoted statistic of an 80% plus divorce rate in marriages where the parents are raising a child with special needs. I make no claims that this search is all-inclusive. Searching journals in developmental or intellectual disabilities is extremely challenging because few articles are made available for “open access” (anyone can download and read the contents free of charge). I was surprised at how little research exists on the topic. There’s lots of research on the impact of parental divorce on kids, but very little information about the impact of disability in children on parental marriage status or satisfaction. There were four studies of good quality that I located on the topic. The largest study (Freedman BH et al.) was recently published online. A study by Wymbs and Pelham (J Consult Clin Psychol. 2008 October; 76(5): 735-744) examined divorce rates and predictors of divorce among parents of youth with ADHD. The divorce rate among parents of kids with ADHD was nearly twice that of couples in the general population (22.7 percent of parents of children with ADHD had divorced by the time the child was 8 years old, compared to 12.6 percent of parents in the control group). If the parents of a child with ADHD were still married by the time their child reached the age of 8, their subsequent divorce rate was no higher than that of controls. Factors associated with an increased risk of divorce included history of antisocial behavior in the father, mothers with substantially less education than fathers, an earlier age of diagnosis of the child’s ADHD, children from racial or ethnic minority groups and children with concomitant behaviors associated with Oppositional Defiant Disorder or Conduct Disorder. A study by Urbano and Hodapp (Am J Ment Retard 2007 Jul;112(4):261-74) compared divorce rates among families of children with Down Syndrome to families of children with other birth defects and families of children with no identified disability. Divorce rates were lower among couples with a child with Down’s than in the other two groups. When divorce did occur in the Down Syndrome group, it was more likely within the first 2 years after the child’s birth. Factors associated with increased risk of divorce among families of children with Down’s included younger age of parents, parents who were unable to complete high school, fathers with less education than mothers and couples living in rural areas. Hartley et al (J Fam Psychol. 2010 Aug;24(4):449-57) examined rates of divorce among families of children with autism spectrum disorders. Parents of children with an ASD had a higher rate of divorce than the comparison group (23.5% vs. 13.8%). The rate of divorce remained high throughout the son’s or daughter’s childhood, adolescence, and early adulthood for parents of children with an ASD, whereas it decreased following the son’s or daughter’s childhood (after about age 8 years) in the comparison group. Younger maternal age when the child with ASD was born and having the child born later in the birth order were positively predictive of divorce for parents of children with an ASD. Despite speculation about an 80% divorce rate among parents of children with an Autism Spectrum Disorder (ASD), very little empirical and no epidemiological research has addressed the issue of separation and divorce among this population. Data for this study was taken from the 2007 National Survey of Children’s Health, a population-based, cross-sectional survey. A total of 77,911 parent interviews were completed on children aged 3–17 years, of which 913 reported an ASD diagnosis. After controlling for relevant covariates, results from multivariate analyses revealed no evidence to suggest that children with ASD are at an increased risk for living in a household not comprised of their two biological or adoptive parents compared to children without ASD in the United States. While I can certainly attest from my clinical experience to the challenges families face when parenting a kid with an autism spectrum disorder, the level of understanding about autism in the community has progressed to the point that having a child with the condition has become more socially acceptable. The same is true of Down’s Syndrome, which is caused by a specific chromosomal abnormality. Mental health is still a taboo topic. It’s less stigmatizing to have a kid with an autism spectrum disorder than a kid with a psychiatric disorder. When prevalence rates of autism increase, the government and private foundations (appropriately so) invest money into research to figure out the cause. When rates of ADHD, bipolar disorder, or anxiety increase among kids, the immediate assumption is that lifestyle choices by parents, drug company conspiracies or shoddy diagnosis are contributing factors. I’d hypothesize that parents of a kid with a psychiatric diagnosis are more fearful of being judged by others (say…at church?) than parents of a child with an ASD. As a result, parents of kids with psychiatric conditions may be less likely to have the social supports and the connection to community that helps to preserve marriages. 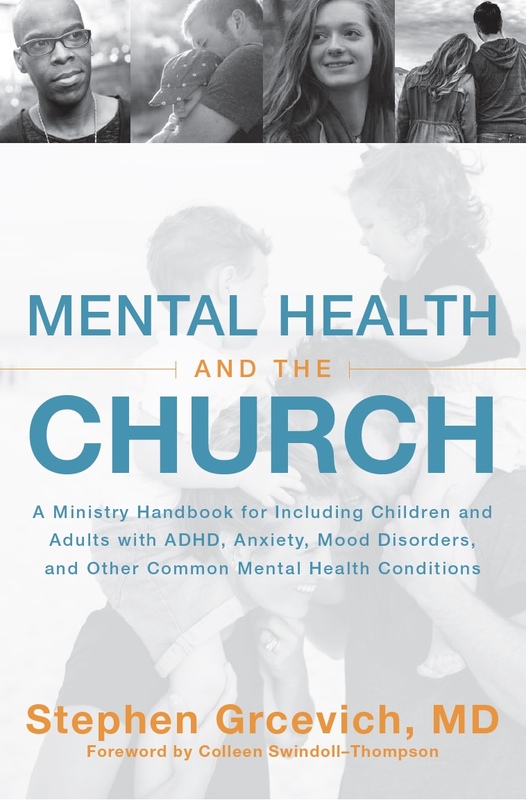 While experience suggests that families of kids with ASDs very much need purposeful and intentional outreach and support from a local church, this may be even more true in families of kids with psychiatric conditions. The bottom line is that families of kids with all special needs are in desperate need of local churches where they can experience the love of Jesus through the care and support of friends and neighbors. Our Key Ministry team is very much in need of your support if we are to continue to provide free training, consultation and resources to churches. Please consider either an online donation or a sponsorship from the Key Catalog. You can sponsor anything from an on-site consultation at a local church, the addition of a new site for church-based respite care, to a “JAM Session” to help multiple churches launch special needs ministries in your metropolitan area. Click the icon on the right to explore the Key Catalog! 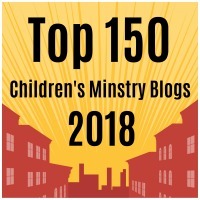 This entry was posted in ADHD, Autism, Families, Key Ministry, Parents and tagged ADHD, Autism, divorce, Down's Syndrome, Family Ministry, Key Ministry, special needs, Stephen Grcevich MD. Bookmark the permalink. 1 Response to Special Needs and Divorce: What Does the Data Say? Dr. G, the Ohio report from last year said this about kids with a disability. What do CSHCN look like in Ohio? An estimated 570,913 Ohioan children (20.9%) under the age of 18 had at least one special health care need in 2008 (71.7% of children did not have a special health care need and the status for 7.5% is unknown). Most children who “screen in” with special needs do so after commencing grade school, hence a disproportionate number of CSHCN are in older age categories (43.5% age 6-12, 39.3% age 13-17) and tend to be more male (58.8%) compared to children without special health care needs. Black children are disproportionately represented as having a special health care need with 16.2% “screening in” compared to non-CSHCN where Black children represent 13.6% of this population (tbl 1). CSHCN are more likely to reside in a household with a divorced or separated parent (19.8%) than non-CSHCN (14.1%). More than 60% of all parents surveyed in Ohio have at least some college education and there is no difference if they are caring for a CSHCN or not. However, the level of college education differs as 32.8% of parents who are not caring for a CSHCN have completed a 4-year college degree compared to 27.1% of parents who have a child with SHCN.